Living Hope was founded in 1989 by a seminary student who was secretly wrestling with questions of faith and sexuality. He knew his questions must be honestly addressed in order for him to become a healthy minister or husband, but his church and seminary did not provide a safe space for him to share. He began meeting with a small group of godly men who were experiencing the same tension between their faith and sexuality. They would support each other through prayer and a continual reliance on the Word of God. Over two decades later, Living Hope continues to be a refuge for men and women who are searching for a place of healing and wholeness through a more intimate relationship with Jesus Christ. As homosexuality, gender confusion, and sexual and relational brokenness become more accepted in our culture, Living Hope Ministries also serves as a resource and support for local congregations throughout the world who desire to journey with men, women, youth, wives, and families as they seek to align their lives with the truths of God’s Word. 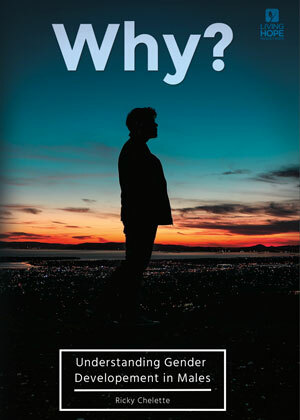 Our desire is both to equip churches with a deeper understanding of sexual and relational issues, and offer specific support to men and women who are directly affected by homosexuality. We believe sexual and relational struggles are complex issues that are greatly impacted by a perceived relational wounding, and are likewise restored through vibrant, healthy and safe relationships rooted in obedience to Christ. Our hope is that men and women will honestly confront their questions and fears with us in order to move forward into a life of ongoing freedom and active participation in their local churches and the Kingdom of God.